I can think of no better way for radical leftists to celebrate the holiday than to scare the heck out of children. And not just any leftists, but trusted government leftists – because really – if you can’t trust your government to be honest with your kids, who can you trust. Am I right? "There is no country on the planet that can walk away from the challenge and reality of climate change. And for our part, Canada will continue to fight for the global plan that has a realistic chance of countering it. We have a responsibility to future generations and we will uphold it,” the young and dashing Canadian Prime Minister, Justin Trudeau, recently, told the United Nations General Assembly. Isn’t that heartwarming for all the little girls and boys not to know where to send their letters next year? 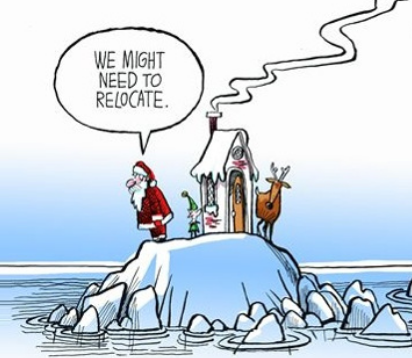 Santa Claus has become a “Climate Refugee.” Maybe he and the Mrs. will send everybody one of those change of address postcards in the coming months. Don’t forget to keep checking your mail little Johnny and Janey. The global warming industry is an industry just like any other. Put that way, it may the world’s largest industry. But instead of manufacturing iPhones or cars, they manufacture data and computer models. Or one might better describe them as more of a one trick pony, Hollywood studio. How many times can Hollywood make the same Friday the 13th movie? They keep ramping up the blood, gore, and shock, but it’s still the same old story. 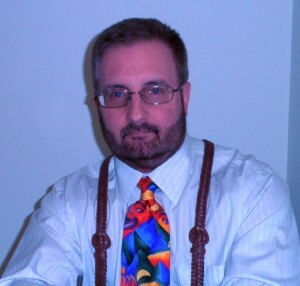 For years, we on the right have been preaching that there has been no warming since 1998. But really, “since September 1994, the University of Alabama in Huntsville’s satellite temperature data has shown no statistically significant global warming trend.” That’s close to a quarter century.